Camping with kids is great family fun, some extra planning and precautions will make the trip more fun and memorable. Whether you are headed on a weekend trip or you are planning an extended tour of Florida with Fido or kitty, you need to plan ahead. Florida is one of the most popular RVing and Camping destinations in the Nation. It has everything you could possibly want - beautiful beaches, lakes and rivers, unlimited recreational activities, the finest restaurants, shops and attractions, professional and college sporting events, world-class fishing, and amazing weather; but most importantly, Florida has hundreds of the best RV Parks and Campgrounds in the world. 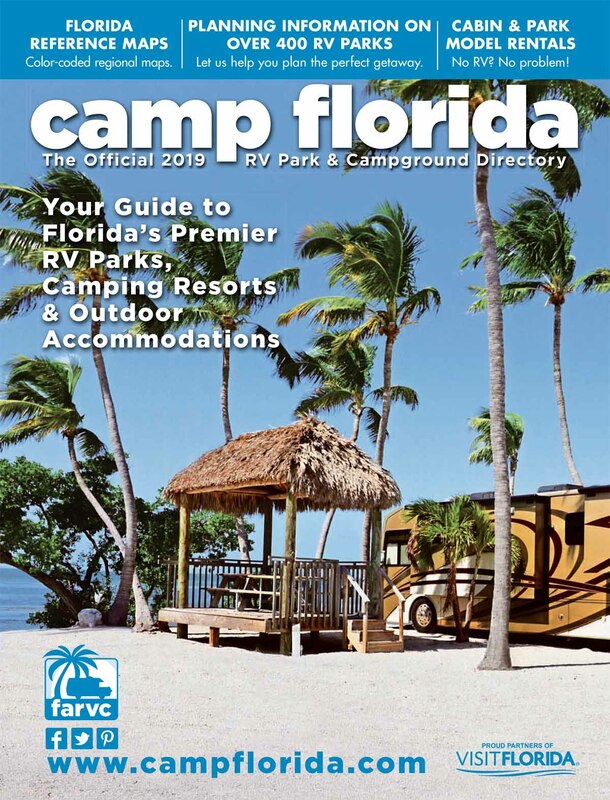 CampFlorida.com makes it easy to explore Florida and to find your perfect RV park or campsite. You can search for Florida RV Parks and Campgrounds by region or by amenities or city location. Once you've selected your criteria you can review the park descriptions, photos or videos, and find detailed information on each park. You can also find RV Parks and Campgrounds by their map location. Just select "View on Map". Experience everything Florida has to offer and create memories that will last a lifetime... Camp Florida!